Music Canada has developed a guide for businesses seeking to start a digital music service in Canada containing information on market opportunities, Canadian consumer preferences, music licensing, and more. Canada’s music market is in transition. 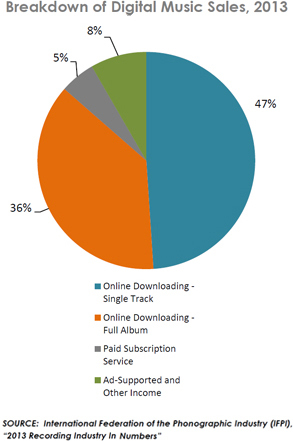 Every year, more Canadians buy and enjoy music online and on mobile devices. Canada’s major and leading independent record labels are proactively helping digital music service providers succeed through initiatives such as this guide. Canada is the 7th largest market for recorded music in the world. Canada has been ranked 2nd in the world in internet use (volume of data per capita). 83% of households have internet access. There are 17.4 million smartphone users in Canada. There are relatively few legal digital music services operating in Canada when compared with other countries. This is a greenfield opportunity!